Best Restaurants in Bangkok: 10 Restaurants you don't want to miss! You don’t have to go to a restaurant to eat in Bangkok, walk down most of the streets in the Thai capital and you’ll encounter one of the many eclectic foods stalls that add to the vibrating atmosphere of the city. You can sample one of the numerous types of noodle on offer including chicken, duck and egg. Street food is great, but what if you want to taste some of the food in the best restaurants in Bangkok? You certainly won’t be short of choice as you’re surrounded by eating venues serving international cuisine including French, Italian and Japanese, as well as traditional Thai dishes. 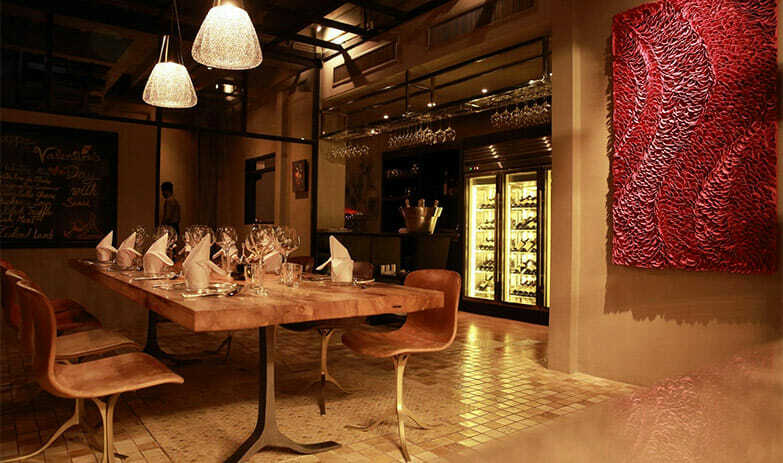 We’ve chosen 10 of the best restaurants in Bangkok for you to take a look at. We decided to start with some romance, and Issaya Siamese Club has it in abundance. Set in a century old house with landscaped gardens you can actually enjoy the external ambience while making the most of the bean bag seating on the lawn areas. 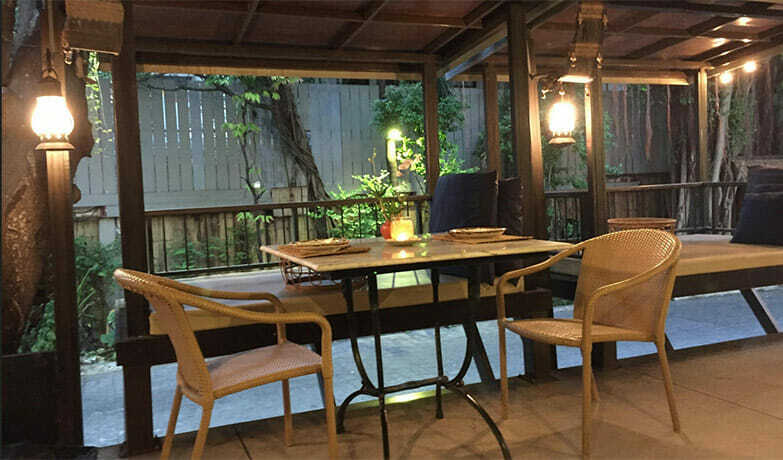 It’s a tranquil escape from urban Bangkok and has an excellent reputation for producing fine authentic Thai food produced using high quality organic produce. This is a major reason why it makes our list of the best restaurants in Bangkok. 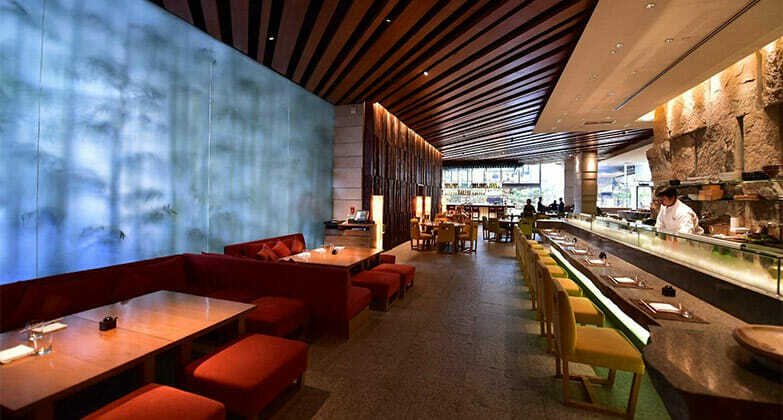 The restaurant is the flagship venue of Chef Ian Kittichai, and his exceptional cooking style is at its core. There is a downside to dining at this venue; it’s a little off the beaten track. There is no public transport that will take you to the restaurant and there’s a good chance that your taxi driver may not be certain how to get there. 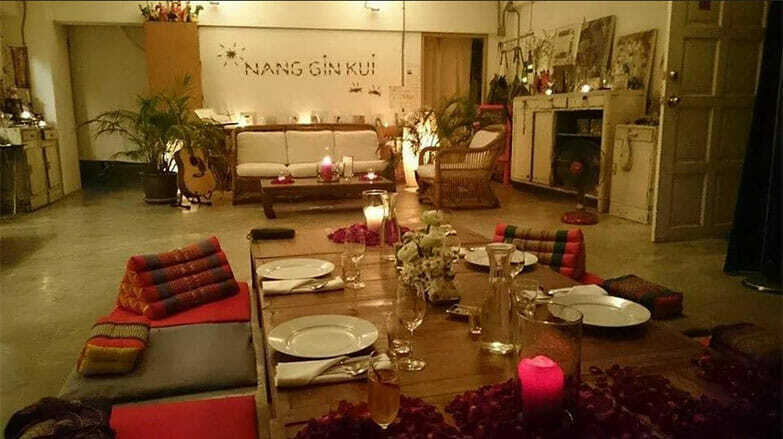 You can also experience the perfect romantic evening at Nang Gin Kui, but this is a very different occasion. 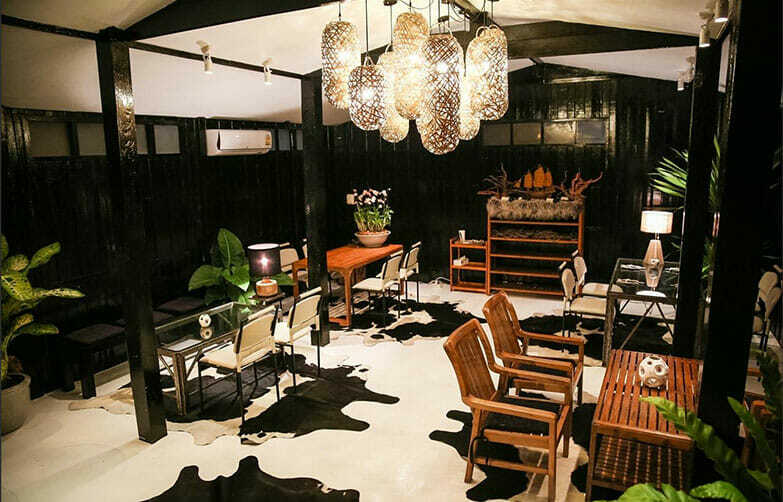 Not so much a restaurant as a dining experience, you won’t forget Nang Gin Kui in a hurry. Your first task is to choose which of the creative dining experiences is best suited to you. For intimate celebrations there is Nang Gin Kui Hideaway. This is a candlelit dinner for two to four people and features international wine pairing and a highly delicious sounding chocolate lava love cake. For outgoing travellers (mainly travelling couples) the Nang Gin Kui Meet and Greet presents the perfect opportunity to meet other travellers while enjoying the completely home-made food on offer. The evening begins at an agreed meeting point where diners are met and escorted to the venue; an architect’s apartment with amazing views out over Bangkok. You don’t get a choice when it comes to food as the meal is produced from a set menu, but you do get 15 courses of freshly prepared Thai infusion food. You can also watch your meal being prepared before your eyes as the eating and dining area is open plan. If you’re looking for a restaurant that likes to be adventurous then Rock Restaurant and Bar makes our list of some of the best restaurants in Bangkok for that reason. 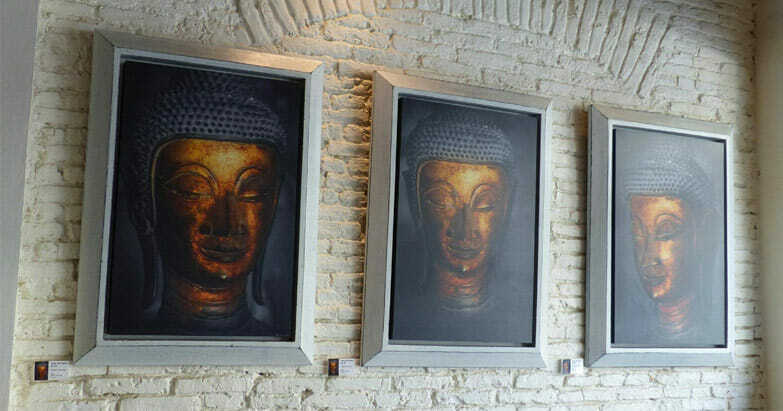 The menu stands out against many on offer at other restaurants with its interesting fusion of Thai culinary traditions with those of neighbouring countries such as India and China. Rock Restaurant and Bar also has a reputation for its friendly ambience. If you want to eat here it’s a good idea to book as it’s a busy venue on any day of the week. 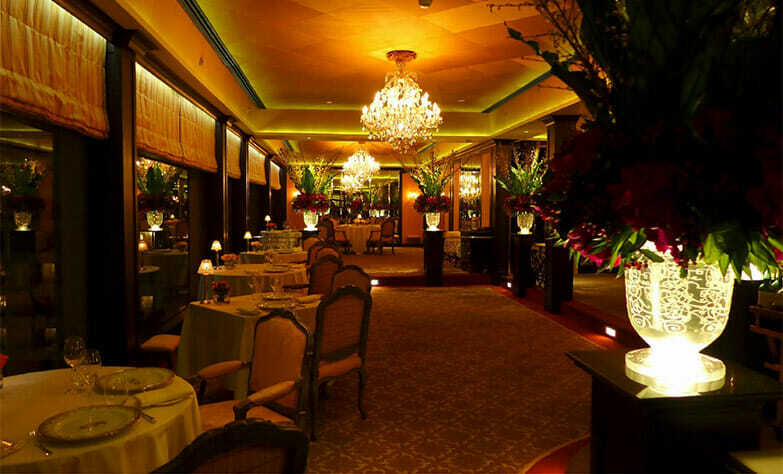 For French fine dining in Bangkok, Le Normandie cannot be beaten. It’s a truly beautiful environment for dining, with impressive chandeliers and innovative floral arrangements. If you’re eating at Le Normandie make sure that you get a seat facing the river. The restaurant’s floor to ceiling windows provide an awe inspiring view out across the Chao Phraya River. The food is top quality, and is produced under the watchful eye of head chef Arnaud Dunand Sautier who has over a decade of experience in fine dining. One thing to be aware of is to watch the cost of the wine you’re drinking; it can be very costly especially when you include corkage. eating experience for your money, a meal at Sensi is a good idea. For something a little different take a step into The Local. This isn’t just a restaurant, it’s a slice of Thai history. Housed in a 70 year old traditional teak home The Local takes you on a journey through time with a selection of wooden bird cages, and paddles from the boats of traditional floating markets, forming a major part of the decoration. The dining area itself is contemporary Thai, and this is where the eating experience really comes to life. The menu consists of a myriad of hard to find traditional Thai dishes including some that are served to the Royal family. For some added fun, the home-made ice cream is delicious and you can end the evening with a taste of one of the signature cocktails such as the Safflower. Japanese sophistication and style comes to Bangkok in this eatery which has venues across the globe. This is not an inexpensive night out but it is a memorable one, created in a chic urban establishment. You’ll be served high quality Japanese cuisine consisting of some of the best ingredients such as beef tenderloin and black cod. This may be a chain but it’s still one of the best restaurants in Bangkok and perfect if you love Japanese food. 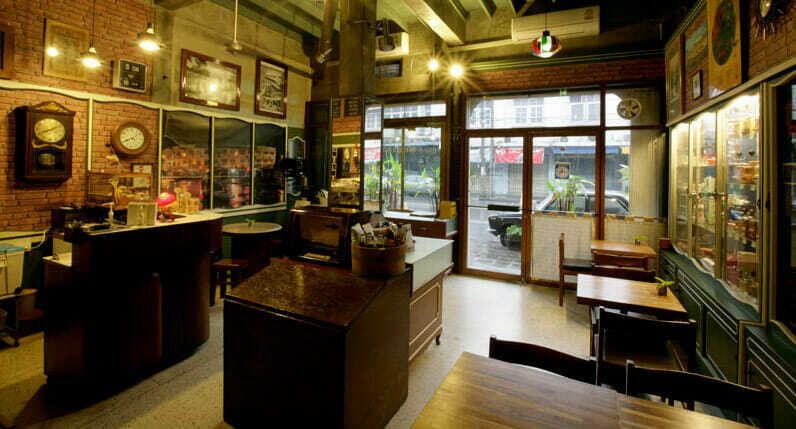 If you are out for a busy day in Bangkok the Old Town Café is a great place to rest and grab a quick bite to eat. 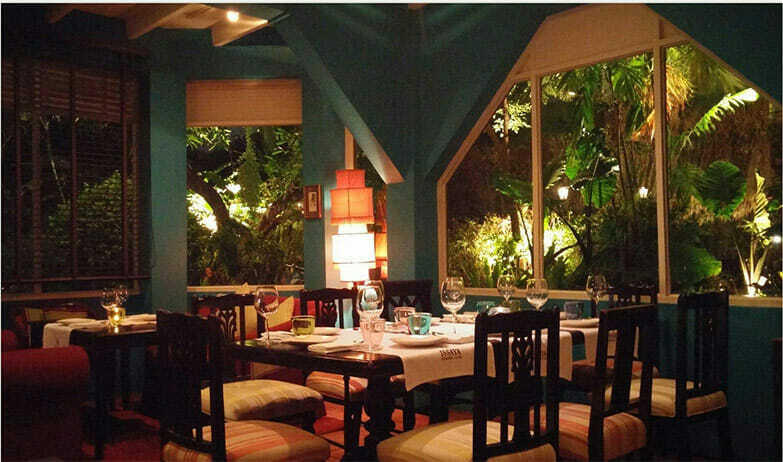 Its tasty food and friendly atmosphere mean we have to include it on our list of best restaurants in Bangkok. If you’re old school you’ll feel right at home in the Old Town Café with its quirky decoration of items from the 70s and 80s era. The wide selection of tasty coffees available provides an excellent accompaniment to the food, including grilled pork baguettes and ginger ale strawberry ice cream floats. The décor is fun and the food is affordable and tasty; add to that the very cool background jazz music, and this is a great place for a rest and a snack. Often, if you’re a vegan or vegetarian on vacation, it can be difficult to find a restaurant with a wide selection of food that you can eat. The Mango provides just that with an extensive and delicious menu consisting of meals created using fresh products, most of which originate from the farm owned by the restaurant proprietors. The food is not just popular with vegetarians and vegans, dishes such as the red Thai curry appeal to everyone. If you’re a chocolate lover the melting chocolate cake with ice cream is a must have. We couldn’t complete our list of some of the best restaurants in Bangkok without including a place where you can get great western style comfort food. There are times when only a burger will do; if you’re facing one of those times then this is the place to head to. The burgers are huge, made from the best produce and deliciously put together. You may wonder why you would want to be eating western food in Thailand but there’s always a place for delicious curly fries, and Papa’s Kitchen has them in abundance. So there you have it, our pick of some of the best restaurants in Bangkok, for when street food noodles just cut it!